The Metropolis is a Grade A office building located along the North Bouna Vista Drive. The building is situated within the One North precinct at Buona Vista – home to the region’s finest research facilities and business parks. The Metropolis is a twin tower office blocks integrated with retail and F&B serving its office tenants. The twin towers with a floor count of 23-storey and 21-storey were completed in 2013. 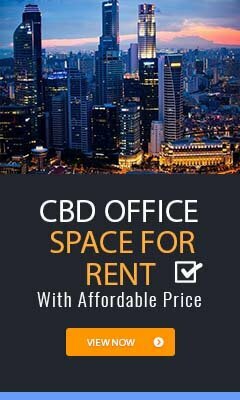 The Grade A office buildings were designated to serve as regional head office of MNCs who are seeking a business location outside the Singapore CBD. The Metropolis offers premium office spaces with large floor plates ranging from 10,000 sq ft to 30,000 sq ft. The building comes with high ceiling, large windows, raised floor system and column free office spaces that provide maximum flexibility and efficiency to meet the needs of all its office tenants. Office space for rent at The Metropolis is a natural choice for MNCs seeking to expand or establish new regional head office in Singapore. The Metropolis is conveniently accessible via the Buona Vista MRT Station and various bus-stops with close proximity to the building. it is also well served by the Ayer Rajah Expressway. The Metropolis is situated in a convenient location, close to a wide array of amenities. These include fitness centre, meeting facilities, hotels, banks, childcare, pre-school centres, food centres, and eateries together with a wide selection of retail and dining options within the building and Star Vista. The Metropolis is the only office building at the One North precinct. It is near to the Singapore Science Parks. For enquiry on office space for lease at The Metropolis, please leave a message using the Enquiry Form.